The Invitational Choice Symposium brings together leading cross-disciplinary researchers working on understanding and predicting choice and decision processes. The aim of the Symposium is to provide a highly productive environment in which leading researchers can meet to assess the state of existing knowledge and set future research priorities in well-defined topical areas related to choice and decision making. The Erasmus School of Economics (ESE) at Erasmus University Rotterdam will host the 9th triennial Invitational Choice Symposium in 2013. The Symposium will begin Wednesday evening, June 12, and run through noon Sunday, June 16. 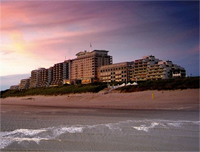 It will be held at the Grand Hotel Huis ter Duin in Noordwijk, the Netherlands.